Get started making lip balm with this basic recipe. This recipe uses Crafter's Choice® Lip Balm Base and is enhanced with vanilla flavor and a shimmery white color. The recipe can be easily customizable by swapping out the flavor oil and color to your preference. If you choose to make substitutions, make sure you choose a flavor oil with an IFRA maximum of 1.75% or greater and a powder color that is approved for lip products and mixes best with oil. INCI Ingredient Label: Castor Oil, Olive Oil, Beeswax, Carnauba Wax, Soybean Oil, Candelilla Wax, Mica, Titanium Dioxide, Flavor. Prepare for the project. Create a safe workplace that is clean and secluded from small children and pets. Empty the two-ounce jar of Lip Balm Base for Sticks into the beaker. Microwave in 15 second increments until the lip balm base has completely melted. 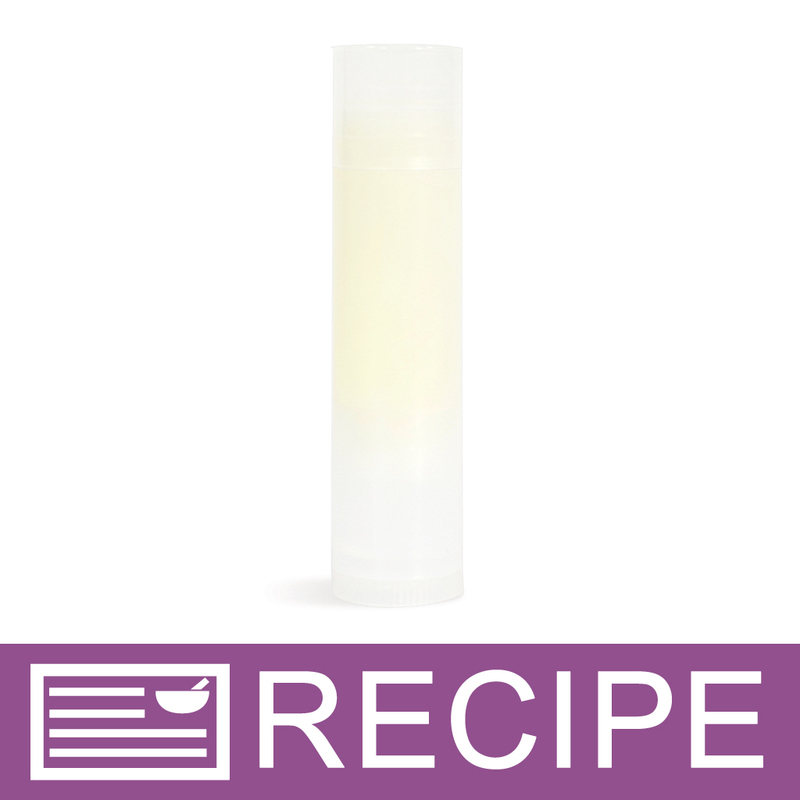 Add 1 mL of Vanilla Sweetened Flavor Oil to the melted lip balm and stir. Add 1/8 tsp. of French White Shimmer Mica Powder and mix well. Allow the lip balm to cool to 130ºF. Fill each lip balm tube to the top and allow to harden. (Optional) Finish by adding a cosmetic label to your product. Include the product name, directions for proper use, ingredients listed in descending order of predominance, your name or business name, contact information and net quantity of contents. "Can I add a little shea butter to the base?" Staff Answer You would need to test this out. We would recommend adding only a very small amount as this will change the texture and consistency of the base. "Hello. I'm wondering how long it takes for the lip balm to harden once you pour it?" Staff Answer It should harden very quickly, usually in about 30-45 minutes.